I want to start by saying that this is not an exhaustive list of all the possible inventory management techniques available for all industries. 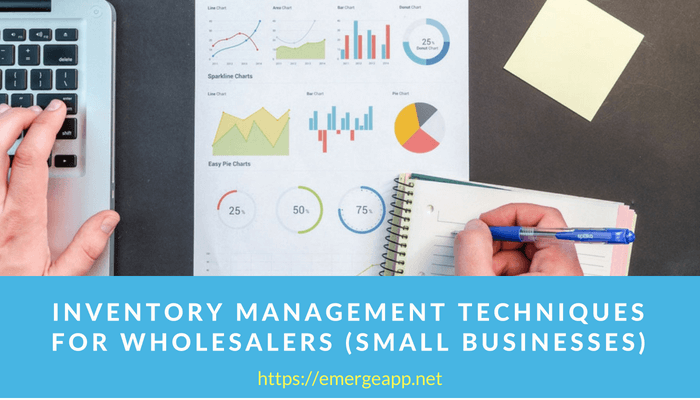 Rather, it’s a carefully curated list of inventory management techniques that work for our wholesale and distribution customers around the world. So you won’t find a customary listing of the Last-In, First-Out method. This is commonly used in the States but it is prohibited in other countries. So we won’t cover for the sake of mentioning it. You can actually use in your business. We have always dispensed down-to-earth tips and techniques at our blog, and the topic of inventory management techniques is no exception. What Should You Care About Inventory Management? Before we jump into the nitty-gritty of inventory management techniques, why should you care about inventory management in the first place? 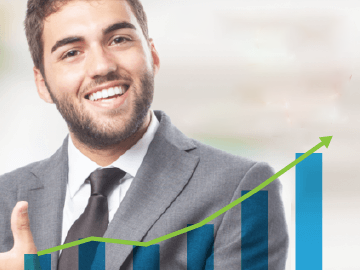 Shouldn’t sales and profits be at the top of your list? Yes, revenue and profits are important but, as you know, what makes or breaks your wholesale or distribution business is not whether you’re making a profit or running a loss — it’s your cash flow. Your business needs cash to pay your salary, your employee’s salaries, rent, supplier invoices and all the running costs of running a business. And purchasing inventory means that you’re tying up a valuable and finite resource — working capital — in your stock. Your business could do with cash elsewhere. But, this cash doesn’t materialise in your business until you sell your stock. 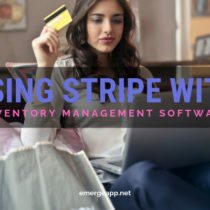 So, you need to keep an eye on inventory management because you are indirectly managing your cash flow as well. Manage your inventory efficiently with different techniques, and you manage your cash flow at the same time. So what happens if you take your eye off the inventory management ball? First of all, if you’re dealing with perishable products with expiry dates, then your stock will spoil and need to be discarded if you don’t sell them in time. Think foodstuffs, pharmaceutical drugs, some wines and even makeup and facial products! Also, you want to avoid keeping deadstock around. You know, those products that haven’t moved in the past 12 months, gathering dust in your warehouse. These items don’t necessarily have an expiry date. But they can’t be sold because of other reasons such as obsolescence, irrelevance or changes in styles and seasons. I love giving examples here: CD/DVD cleaners, last year’s cellphone cases, charging cables made obsolete by USB-C, any fashion or shoes tied to last year’s dance hit, and it goes on! And while we’re on deadstock, I did mention they’re taking up valuable space in your warehouse right? These stocks aren’t moving but you could easily use the space and racks for other profitable products. At the same time, you’re still paying rent, insurance and associated costs with keeping stock. 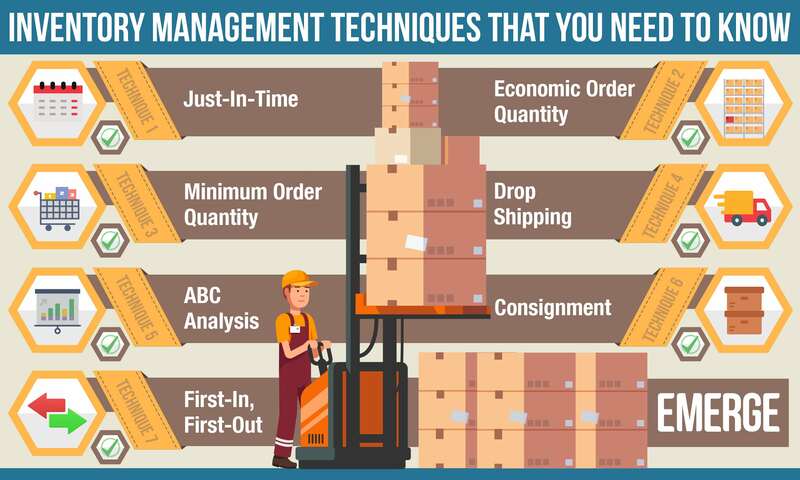 Spend your warehousing costs in the most efficient way possible by taking steps to keep your product mix relevant and your inventory levels lean. And don’t forget customer satisfaction. Yes, your customers. 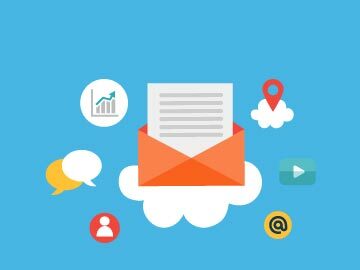 When you’re in a competitive wholesaling and distribution space with slim margins, you want repeatable business and progressively larger orders from your customers right? Hurt them one time with a delayed or mismanaged order, and you’ll quickly find that customers’ trust and confidence in you is easily dropped or lost. It’s very difficult to win it back and, in the meantime, they’re free to find another competitor to order from. 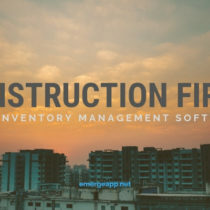 Finally, if you’re running an up and coming business with multiple locations around the city, state, country or world, then you need inventory management to manage your many locations. Add international currencies to the mix and you’ll quickly need a solution to deal with multiple warehouses and currencies. 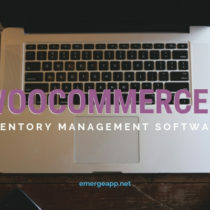 So, let’s start with one inventory management technique that should be at the top of everyone’s list. First-In, First-Out (FIFO) assumes that the first goods purchased are also the first goods sold. It is an inventory valuation method used widely around the world. For most businesses, this closely matches the actual flow of goods. So, it’s considered the most “correct” inventory valuation method as opposed to “Last-In, First-Out”. It’s also the most logical method since most businesses will want to sell their oldest stock first to reduce the risk of obsolescence or expiry! Let’s say that you’re a small-scale dairy milk producer. You take pride in your grass-fed, antibiotic and hormone-free milk from happy, free-ranging cows. You also set strict expiry dates on them for quality control and local food regulatory purposes. Your grocery store customers, both big-box and mom-and-pop stores, order milk from you at regular intervals. So, as consumers buy milk from them, their store stockers push the older, expiring milk cartons to the front of the fridge as they put the new cartons at the back. Hence, the first ones to be sold are older milk cartons with fast-expiring dates. Next to be sold are the newer cartons with later expiry dates. This way, the older cartons are sold first before they expire and are disposed of. What’s not to like about FIFO? Firstly, the assumption that the first goods to be bought are the first to be sold may not match all businesses. Some companies stock both new and old goods. Can you think of an example? How about wine and spirits? Retailers love to stock up on these because there’s no strict expiry date requirement on them. The wine’s vintage year will guide you on their age. When was the last time you saw an expiry date printed on a bottle of wine or spirits? Secondly, from an accounting point of view, the FIFO method gives a better, more accurate valuation of inventory on the balance sheet. A value will be put on only the newer, most recent inventory. For example, as a wine wholesaler, you purchased crates of this year’s vintage for $49 a bottle. The previous year’s vintage were purchased at $39 a bottle directly from the winery as they had a glut of grapes. The newer price of $49 will be reflected on the balance sheet. However, for the calculation of the cost of goods sold, the cost of older, historical stock is being matched against current revenues. Hence, the gross margin may not accurately reflect the proper matching of revenues and costs. In an inflationary economic cycle, prices of goods and services are rising over time. Hence, current-cost revenue will be matched against older, lower-cost inventory. This means a higher gross margin, more profits and more taxes paid on the profits. Back to our wine example, consumers are grabbing all vintages of the wine wherever they can in the hope of reselling them for a profit. Your retail store customers are asking for all the stock of the wine. So you sell the vintage that you purchased for $39 from the previous years. You are selling the older stock of wine as they were the first to be purchased and hence the first to be sold. You enjoyed a lower $39 purchase price for them but they’re being sold at the current, inflated wholesale price to your retailers. Your gross margin and thus profits just jumped. ABC Analysis is an inventory categorisation technique used in materials management. C items with the simplest controls possible and minimal record keeping. ABC Analysis is a way of identifying stocks that have a significant impact on overall inventory cost. The different categories of stock will require different management and controls in the business. In other words, this is a way of saying that your inventories are not of equal value. Grouping them into A, B and C categories — for lack of a better label — helps you to identify their important to your business. So, A items are very important. They are typically high value and high margin goods and thus need regular and frequent stock reviews. B items are important but less valuable than A items. C items are the least valuable and thus need only marginal attention. Let’s say that you’re a mobile phone and accessories wholesaler. You deal with the latest and greatest unlocked phones from the biggest tech titans and brands around the world. You also offer complementary accessories to match these spanking new phones. So your category A items are likely to be the latest and greatest mobile phones themselves. They are high-cost and high-value items that must be tightly controlled. Your inventory records must be accurate and updated in real-time. The category B items are going to be middle to low-end mobile phones. You can’t ignore the mass market right? They’re important, they sell well and they have value but they’re not as sought after as category A phones. Finally, category C items are going to be mobile phone accessories themselves. These will be your screen protectors (in glass and plastic) and mobile phone cases. You have so many obsolete cases that they are spilling out of boxes. So, how do you assign A, B and C categories to your stock? There’s no quick and easy formula. It all depends on your objective and criteria. One way to do it is to look at the oft-used Pareto principle (or 80/20 rule). It says that 80% of your revenue is generated by 20% of your products. As you can see, for category A items, almost 1/3 of your stock generates about 2/3 thirds of your revenue! Category B items are no slouches either, 1/2 of your stock brings in about 1/3 of your revenue. Lastly, category C items, while nice to have, don’t really drive the revenues at your business because they comprise 1/5 of your stock but generate only 1/10 of your revenues. Nonetheless, you can’t ignore or drop category C items as consumers expect matching screen protectors and phone cases with every phone that is available for sale. So, what do all these alphabets mean for you at your business? Your Cat A superstars are new flagship phones that retail for well over $1,000! They are valuable and prone to theft from the time they sit in your warehouse. Category A items need tight inventory control for a start. And they need to be stored securely with every in-and-out movement recorded. Since they generate the bulk of your revenues, they need accurate sales forecasts; must be frequently re-ordered; and avoiding stock-outs must be a priority! Accordingly, category C items need minimal or lax inventory control. They typically cost less than $10. Who wants to count and sort through piles of fast-decaying mobile phone cases anyway? They may be re-ordered less frequently and may only be re-ordered when a purchase is made. This will inevitably lead to stock-outs but this may be acceptable as there is relatively lower demand for them and, most importantly, they present a higher risk of stock obsolescence and dead-stock. Category B items enjoy a middle-of-road position between category A and C items.These popular sellers usually cost between $100 to $200. However, they will need to be monitored over time for their move to either category A or C.
Obsolescence for Cat B phones may come in the form of the abolishment of 2G mobile cellular networks, or when the brand goes bust, for example. Economic order quantity (EOQ), in inventory management, is the order quantity that minimises the total costs of inventory in a business. These costs of inventory include holding costs, order costs and shortage costs. EOQ is a tool used in a continuous review inventory system. Here, inventory levels are continuously monitored and a fixed quantity is ordered each time the inventory level reaches a specific reorder point. So, EOQ provides a formula for calculating this appropriate reorder point and the optimal reorder quantity. This ensures instant replenishment of inventory along with no shortages or stock-outs. How much inventory to keep on hand? What is the quantity of items to order each time? When do I reorder to minimise inventory costs? All this sounds too good to be true! What’s not to like about the EOQ model? Firstly, certain assumptions are made just like all economic models. EOQ assumes that the demand for a product is constant over a year, and that each new order is delivered in full when inventory reaches zero. Also, there are no inventory shortages or related costs as there is instantaneous replenishment of stock. Hence this model may not be suitable if your demand fluctuates wildly depending on the season or month. Fast fashion clothing and Christmas decorations will not suitable for the EOQ model. Also, the assumption of instant replenishment of stock means it’s not relevant for slow-moving, high-value items. So, limited or one-off pieces such as bespoke horological timepieces or haute couture fashion are out. Order costs (any fees associated with placing orders, such as insurance and freight). So, ordering a large amount at one time will increase your holding costs. However, making more frequent orders of fewer items will reduce holding costs but will increase order costs! A real-life example is in order. Let’s say that you’re a distributor of medical bandages and supplies. Your customers are medical and dental clinics around the state. The demand for bandages and supplies is constant throughout the year. After all, after a surgical procedure, every patient needs to be stitched-up or bandaged! Also, delivery is made in full and there’s instant replenishment of stock in the clinic’s storeroom. Your suppliers deliver bandages and gauze packed by the hundreds and thousands in boxes. Each box costs on average about $40 for you to purchase. They cost $8 per box to store and stack in your warehouse because they are large in size; and $18 to ship per order since they are light weight. So do you purchase many boxes at a time knowing that it will cost you a flat shipping fee of $18 per order and $8 per box to store them? Or do you work on a just-in-time principle and order boxes as you need them, knowing it will cost $18 to ship each order regardless of the number of boxes ordered? Thus, the EOQ model finds the quantity that minimises the sum of these costs. Just-In-Time (JIT) is just what the name suggests: parts or raw materials are ordered as and when they are needed in the production process. It was exported to the rest of the world after Japanese manufacturers enjoyed success with it in the 1960s and 1970s. So, if you’re doing simple manufacturing in your business, for example, assembling knock-down furniture or making artisanal soap, then JIT may interest you. What’s To Like About JIT? Firstly, you save money and conserve working capital because you don’t need to hold safety or buffer stock. You will enjoy continuously low inventory levels. Accordingly, you will have lower inventory carrying costs. Why tie up valuable workshop and warehouse space with racks of components and materials? Why rent a large warehouse in the first place? And because you don’t need to keep stock of various raw materials, you can produce a greater variety of products and variants at any one time. Also, short production runs are a reality. You need a batch of myrtle-scented soap along with lavender and hops shampoo? No problem. However, not all is golden with JIT. It is a manufacturing philosophy as much as it is a production technique. Since you assemble whatever you need when you need it, there’s absolutely no room for error in your production schedule. Certain things need to be in place for it to work: reliable suppliers, predictable production, and a zero tolerance for errors in parts and raw materials to name a few. Can your local supply chain stand up to such scrutiny and expectations? Will your suppliers and workers share the same attention to detail and quality like you? If your players don’t work in unison or slip up, this will be disastrous for your production schedules and your inventory level of products to sell and ship out. It takes just one supplier to fail to deliver materials on time, to shut down your entire production process. Or an unexpected spike in demand for a product may cause a parts shortage that delays the shipment of finished goods to all your customers. Hence, stockouts are likely to be a real risk. You can mitigate this risk somewhat by using more accurate and regular forecasting methods for the demand for your products. We explained why you need to adopt an inventory management technique relevant to your business. We also covered the big names in inventory management, namely FIFO, ABC Analysis, EOQ and JIT. And we proposed that you look at other popular models today, including drop shipping, consignment and MOQ. So which inventory management technique will you pick for your wholesale or distribution business?